Whether you are a weekend warrior or a seasoned pro, this easy to use top water lure is designed to deliver explosive top water action. 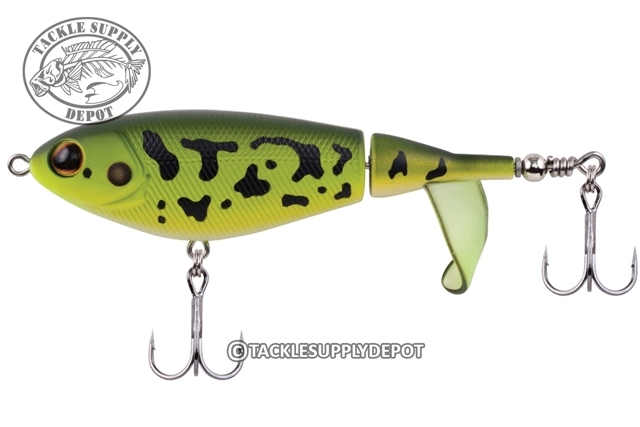 Chunk and Wind the Berkley Choppo around cover and in open water for a serious waking action. The Choppo's durable tail propeller won't melt in your tackle box and the enhanced surface area provides more sound and spray. The precision balance of the bait ensures that The action begins immediately and it swims straight at a variety of speeds. Cast and retrieve around all types of shallow cover. The 90 is best suited for calmer conditions while the 120 can be used in calm to choppy conditions.